Cheungvogl Architects designed a space for exhibition and retail purpose in the 110-year-old Au Pont Rouge, a monumental building in Saint Petersburg, Russia. The design showcases a museum layout that acts as both a transactional and communal space. Every zone is designed meticulously and perfectly synchronises to mold urban life. Each zone displays products from the world and expresses the origin of the items. Thus the visitors get to experiment and explore. Customers here have the privilege to scan their preferred items for purchase in their virtual basket while the robotic system takes care of delivering the item to the point of purchase or an alternative location. All functions pertaining to managing the goods are handled quietly by the robotic system in the background during which the customers get to interact and enjoy a relaxed hands-free shopping experience. Apart from exhibitions the multifunctional space can be used for a number of programs and occasions like lectures, performances, fashion shows, workshops, and screenings. 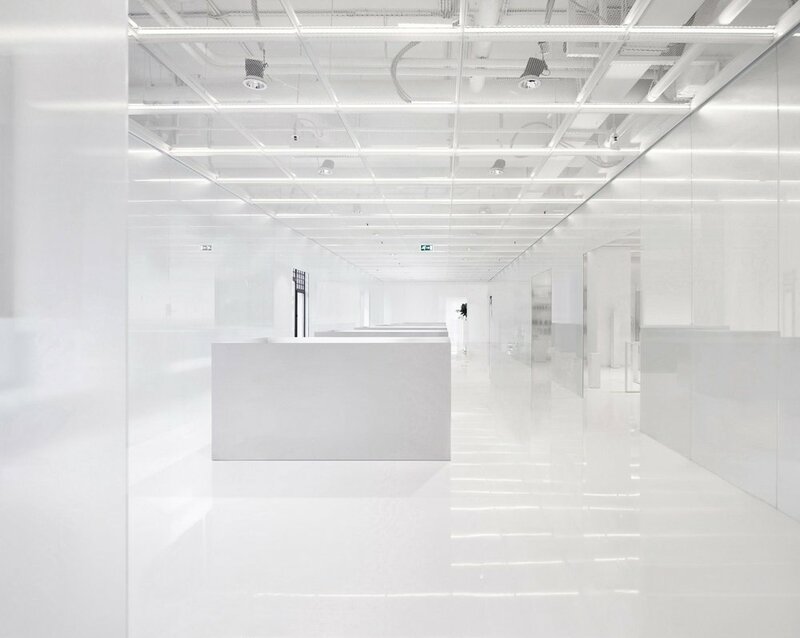 A 100-meter long gallery is incorporated due to the presence of clear glazed panels between the walls and the interiors. The salons are set up on the edges of the building and help filter cityscape and sunlight through the central court. Structural elements that were highly damaged are restored along with the characteristic art-nouveau staircase, balustrades, and windows omitting the original non-structural components. Soft and subtle materials are used for the flooring and ceilings. The translucent ceilings showcase the renovated structural components and the additional mechanical functions. Fixtures are highly detail oriented but have a clean appearance. Although the history of Au Pont Rouge is kept alive in its exteriors, the interiors speak a progressive culture.